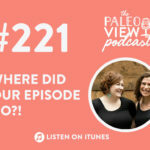 Home » Blog » TPV Podcast Episode 346: Can you have a healthy gut if you don’t eat paleo? 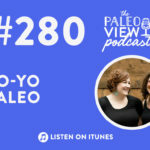 TPV Podcast Episode 346: Can you have a healthy gut if you don’t eat paleo? In this week’s episode, Stacy and Sarah answer a question from a listener who’s dealing with disrupted digestion and talk about what it means to have a healthy bowel movement. They suggest their favorite ways to focus on eating for gut health and why “not being Paleo” because you eat a certain food is a fallacy! They also discuss their favorite shelf-stable probiotic, Just Thrive Probiotic, and offer a discount for listeners. 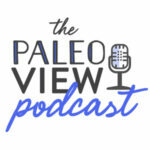 The Paleo View (TPV), Episode 346: Can you have a healthy gut if you don’t eat paleo? Sarah LOVES to keep track of our episodes by simply adding a “1” to the last episode number! How awesome is that?!? A big thank you to all our listeners who hung in there last week as Stacy went a little deep. Thank you for all your support! Not sure why sharing personal information gives us such a fear of judgment. Stacy has realized that it’s important to remember that other peoples’ opinions of you don’t matter. What truly matters is whether you are happy with the choice in your life (and Stacy is super happy with hers!). We’ll be out for a few weeks, but will keep you update to date on all the fun things we are doing while on the road! The podcasts will continue weekly! We’re excited to move forward with some new freedom in the fall. We’ve developed a really interesting relationship with our listeners and followers who have been with us for years, and that’s really important to us! But, at the same time, we are regular people who have regular lives, and the show has to work around that..
It’s unusual for us to still share our vulnerability and window into our real lives and it is scary when the internet can be a hostile place. We want to inspire and be inspired by those that are sharing and overcoming in their daily lives. Last week was a reminder that we still struggle with the idea of being accepted and not judged but worked through it, and it’s all good! Sarah uses and loves Just Thrive Probiotics! You can purchase bundles and still use our code! WE LOVE SCIENCE (as you know!) and Just Thrive Probiotic is really backed by so much of it. Stacy was hesitant to use Just Thrive Probiotic because it’s not refrigerated. She’d been told it’s not “alive” if it’s not refrigerated. We genuinely feel a difference when taking this product. We have less sugar cravings and only take one pill a day!!! Sarah’s 12-year-old daughter with hormonal acne started taking Just Thrive Probiotics and it has helped. The bottom line here is that gut health matters! Just Thrive really relies on scientific measures and is leading the way with clinical trials, validating its strains, and putting in the scientific work. There are 15 different ongoing trials right now and some have been published! This is the first probiotic shown to reduce leaky gut! I’ve been eating flour, dairy, and sugar my whole life. I now take a probiotic and eat fermented foods when I can but my gut is still not good. I can feel it, smell it and see it in my bowels. They are mushy and not formed (sorry for the TMI) what can I do to heal my gut? I’m not sure simply adopting the paleo approach will heal me…? We know that digestion/gut health shows when you go to the bathroom. Shout out to Teressa for recognizing that something is a little off! Check out Bristol Stool Form Scale in Paleo Principles and The Paleo Approach. This is important, because while you may think you are healthy, you may still have all kinds of nutritional deficiencies and hormonal imbalances that we can pinpoint by paying attention to our bowel movements. Taking a probiotic and eating fermented foods are great places to start! However, researchers agree that you can’t really solve an overgrowth with probiotics or even diet alone. If you have an overgrowth of bad bacteria from years of not-so-great food choices, probiotics and fermented food will have a hard time fighting the bad bacteria on its own. It’s important to understand the core of the problem and what you are trying to solve. Ultimately, you have to give your gut bacteria the food it needs to feed healthy bacteria as well as starve the bad ones. Unfortunately, bad bacteria like delicious and refined foods. You have to figure out how to still eat the foods you love without contributing to upset tummy. Nothing bad can come from these changes in eating more veggies. 60% of the composition of gut bacteria is determined my food we eat. The remaining 40% is determined by everything else! 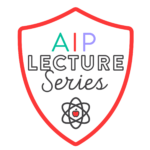 The Autoimmune Protocol is designed for those treating severe, chronic autoimmune disease. Starts rigid and then becomes flexible, because it’s designed to maximize healing. 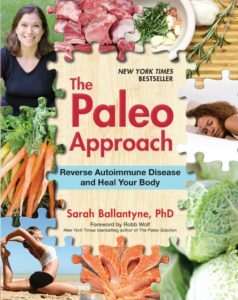 You can find out more on Sarah’s site at The Autoimmune Protocol, or pick up The Paleo Approach. It’s important to keep some perspective. If you ate a bag of rice you didn’t fall off the wagon! We need to stop the rule-based way of approaching diet when it comes to healthy habits. Instead, educate yourself. Do some reading, understand the why’s, and understand the themes behind the decisions we make to promote health. Nutrient Density: Eating nutrient-dense foods rather than needing to supplement, because we get the nutrition we need from foods. Seafood is really really important for this too! Lifestyle choices: Managing sleep, activity, stress, etc. There is no scientific study that says everybody needs to be gluten free forever to be healthy. However, this doesn’t mean that gluten is a health-promoting food. Most gluten foods are devoid of nutrients, high in bad fats and simple carbs. For those that gluten is toxic to, like Celiacs, you obviously shouldn’t include it in your diet. If lifelong health is the goal, we need to make our choices sustainable and something we can keep up with. Be realistic in your goals and keep your eye on the prize. Stay dedicated and take baby steps if needed! We detail a lot of this in Stacy’s book Real Life Paleo! Sometimes you have to take out foods in combination to feel relief. Sarah had to take out gluten AND dairy together and got MAGICAL RELIEF!! You may have to take out something for 30-90 days until you feel relief because your body will need time to bring down inflammation before it can heal. Be patient. There’s no harm in giving something up to see if it brings relief. Yes, we smell the goodies in the mall, but we know it’s just not a good choice for your personal health. When you feel good, who needs the other stuff?!?! It’s helpful to remember that “junk” processed foods are engineered to be addictive. Food manufacturers have no incentive to make food healthy AND delicious. The good news is, manufacturers are beginning to use healthier ingredients that are satisfying, delicious and not addicting. Find a buddy to work with, stay accountable, and create a safe space to help you focus on your health. Know you are doing this for yourself not anybody else. Yes, it may be tough, but YOU CAN DO THIS! Walnuts and mushrooms are really good for the gut! FISH FISH FISH…the gut loves fish!! Pea protein is good for the gut! There are many different inputs affecting gut health, and if you continue to have issues you should work with a medical professional to help call out specific areas you might need to work on. Stacy did that and it was extremely helpful and healing! Fun hack: they’re stable enough to cook with!! You can open the capsule and hide in muffins or a smoothie! Thanks again to Teressa, and remember, YOU CAN DO THIS!!!!!! 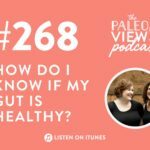 TPV Podcast, Episode 268: How Do I Know if My Gut is Healthy?